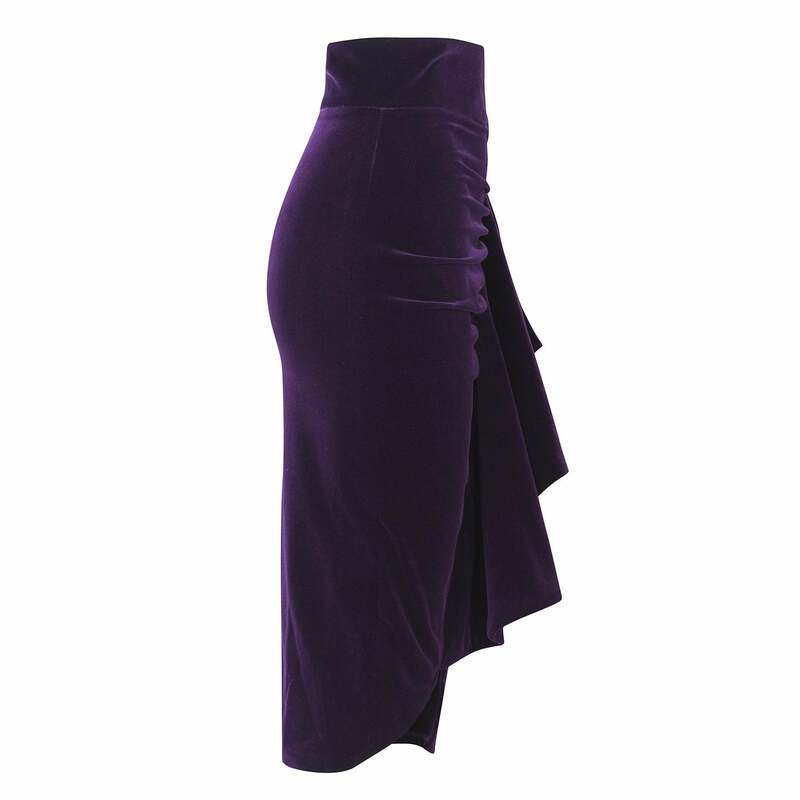 The brand’s unmistakable Latin allure comes alive in the Allegria skirt. 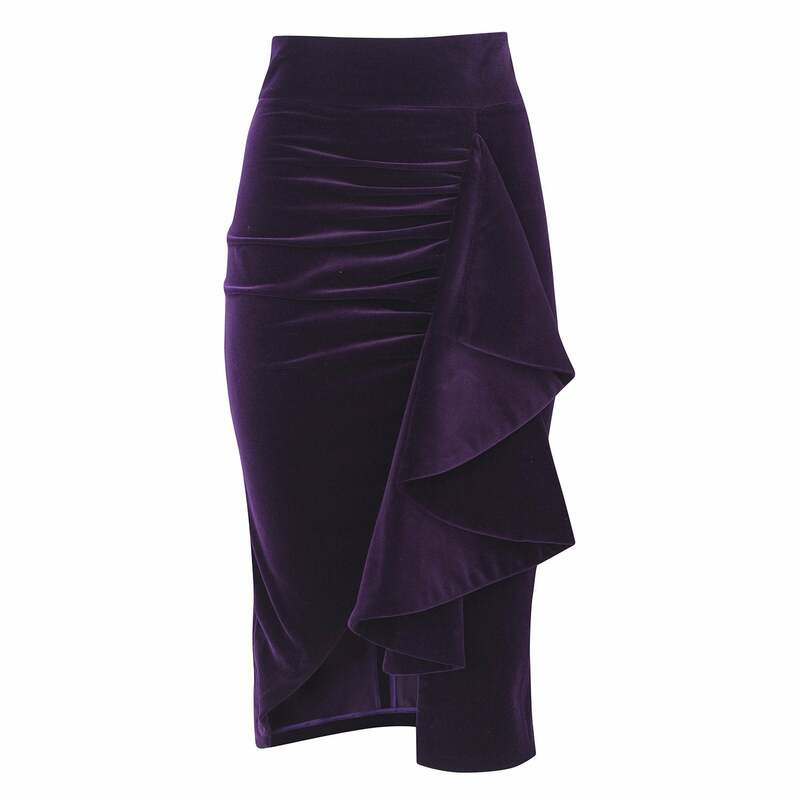 This high-waisted, body-hugging, pencil skirt with a side tie gathering that turns into a gorgeous cascading ruffle is a holiday season must-have. Available in three party-ready shades in velvet fabric, the Allegria will turn heads wherever the night takes you. Pair this winning number with a tucked in Albertina blouse, or with the one-shoulder Brina blouse in any of the silk shades.